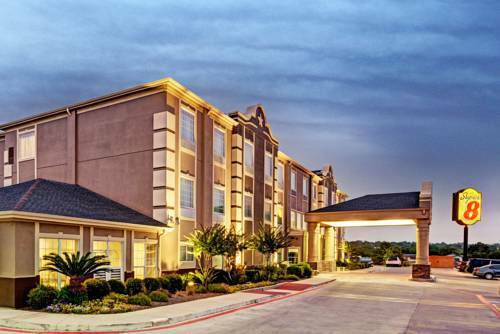 Conveniently located 10 minutes from downtown San Antonio off Interstate 37, the Super 8 San Antonio/Alamodome Area hotel offers easy access to all of San Antonio's offerings. The Alamo, San Antonio River Walk, AT and T Center, Alamodome and San Antonio Zoo are within easy reach, as well as the San Antonio Airport. There are also several restaurants nearby. Amenities include complimentary high-speed Internet access, indoor pool and complimentary continental breakfast, as well as a business center. Guestrooms feature refrigerators and microwaves. Cash-paying guests will be asked to leave a 100.00 USD.